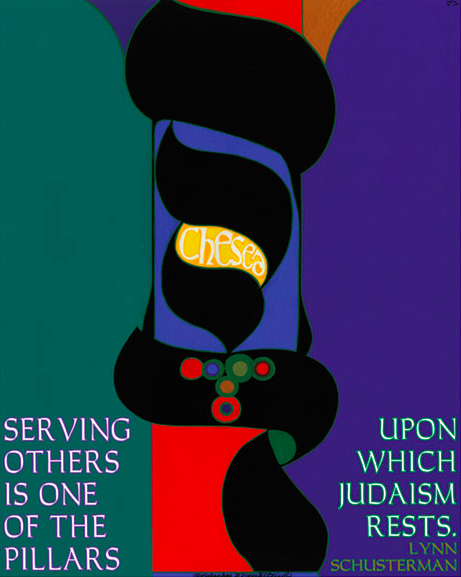 Voices & Visions (Harold Grinspoon Foundation) has just released a new poster series – a six-poster collection called Proudly Jewish, with quotes and images that exemplify for Harold Grinspoon and Diane Troderman the “values and ideas that Judaism teaches.” They refer to it as an operating manual for the 21st century. Also on the site is the story behind the series and background info on authors and artists. Voices & Visions is offering one complimentary set of its Masters Series posters or its new #ProudlyJewish posters to Jewish organizations. The Masters Series set contains18 images (18″x 24″). The Proudly Jewish set contains 6 images (18″x24″). In exchange, they need your input — to submit to their web page called The Exchange your account of how you used the posters. The Exchange is where organizations share their experiences using Voices & Visions art. Add your own account — preferably with a photo — and inspire other organizations.